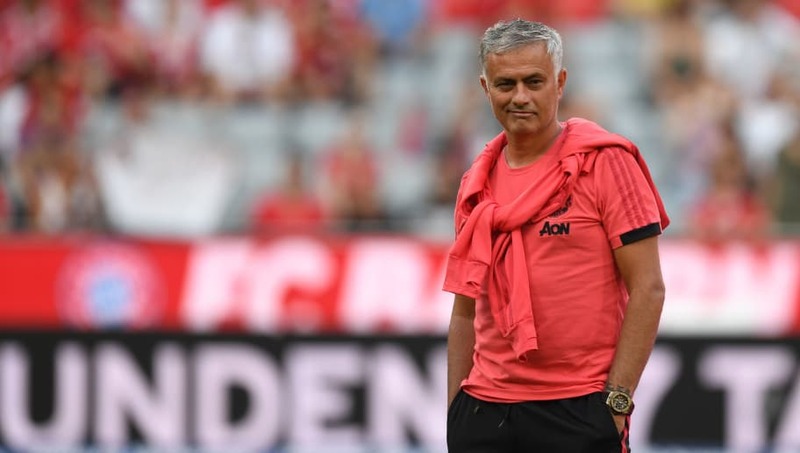 Jose Mourinho has branded the media 'liars' while attempting to quash rumours surrounding his unhappiness at ​Manchester United ahead of his side's season opener with ​Leicester City on Friday evening, claiming he is "going to enjoy this season again." ​Consistent reports have insisted the 55-year-old has been left unimpressed with the lack of transfer activity during the latter stages of the recently closed window - with chief executive Ed Woodward shouldering a significant portion of the blame for the Red Devils' somewhat quiet spell in the market following the conclusion of the World Cup. You don't have to like Mourinho to see that the United board has let him down enormously this summer. The concern now is how he reacts to this should they have a couple of bad early results. Could spiral badly out of control. However, speaking to ​BBC Sport's Simon Stone ahead of last season's runners-up's opening outing at Old Trafford, the Portuguese manager damned reports of unrest within his squad and claimed he is ready for the upcoming fight. "You [the media] repeat 1,000 times my relations with my players is not good," Mourinho stated. "It is a lie, repeated 1,000 times. "I like my players. I like my group. I enjoy the last season fight to finish to get the best position for the past five years. I am going to enjoy this season again." Mourinho's comments seem a stark contrast to those which he reverberated during his side's ​pre-season tour of America - where he seemingly ruled out any chance of the younger members of his squad breaking into the first team during the upcoming campaign, ​insisted Anthony Martial should have spent less time with his newborn child and slammed fans for paying money to watch Manchester United play abroad. It remains to be seen whether his most recent comments are indeed accurate or whether those spoken in pre-season offer the most telling reflection of the mood within the Old Trafford camp at this moment in time. If you’d said at Christmas, #mufc would sign Sanchez, Fred and a good young full back by summer, many would have been 70% happy I imagine. They are a left back short but City won the league without one last season. Mourinho’s lot isn’t so terrible. Time to get on with it. However, what will undoubtedly reveal the truth is the Red Devils' start to what is expected to be another difficult Premier League term on Friday.